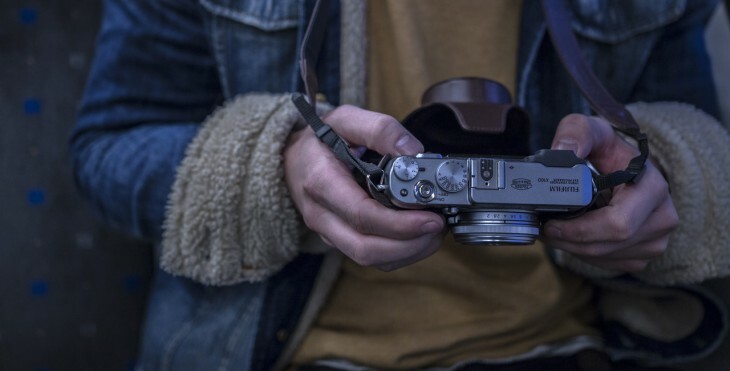 A picture is worth a thousand words, and when it comes to capturing your audience’s attention, you want to take full advantage of every chance to communicate your message. Short attention spans have made lengthy explanations less effective – so how do you keep interest? Use effective visuals to power up your communications, boost engagement, and spark up your social media. 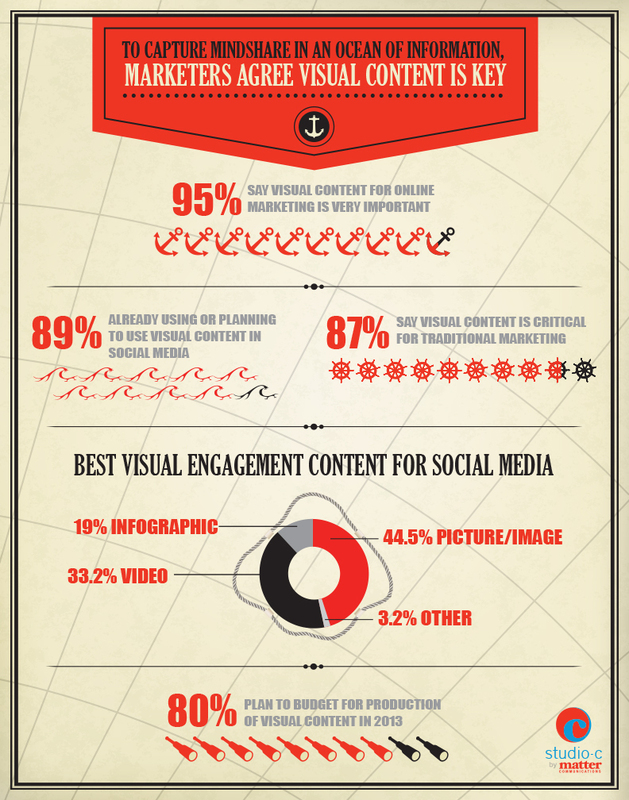 Here’s why you must integrate visual content into your marketing strategy and communications. 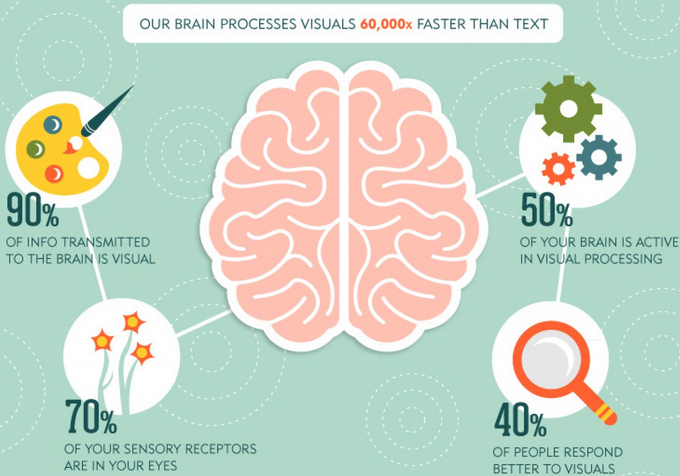 An apple a day helps memory stay: why are visuals important? If a message is released to the public but no one remembers it, did it really happen? Communicating does no good if it’s not retained by your audience. Today, it’s easy for information to get lost or ignored if it’s not in a digestible format. Integrating visual content can boost how much your audience absorbs and remembers. Studies show our brains not only process visuals faster, but they retain and transmit much more information when it’s delivered visually. In addition to helping you communicate a message that is remembered, effective visuals pack a serious punch when it comes to upping your engagement. OpenView Marketing Lab’s “Beginner’s Guide to Stunning Visual Content Marketing,” reports that company Facebook pages who post status updates with visuals in the form of videos and photo albums create up to 180 percent stronger engagement. As you can see in the infographic below, visual components seriously boost your social media engagement. People are catching on to the ways visuals affect customer responses. Visuals can help you tell your brand or products story or explain new features and products. Visuals also have the chance to go viral – it’s easy for people to like, share and respond to graphic content. So how to deliver effective visuals? If you’re ready to jump into a graphic digital marketing strategy, there are a few easy tricks to boost your initial engagement and make sure all the visual content you deliver is getting the biggest impact it can. Share relevant graphics from others whose message aligns with yours. When your audience respond or share your content, engage with them and do it quickly. Make sure you have active, reputable Pinterest and YouTube accounts. Photo and video posts on Pinterest refer more traffic than Twitter, StumbleUpon, LinkedIn and Google+ combined. Those who reach their audience via emails can still get in on optimizing images for the increasingly mobile market. Again, take advantage of every chance you get to capture your audience’s attention with stunning visuals. For sites that aren’t specifically oriented towards pictures or videos, it’s easy to integrate visual content. Facebook or Twitter status updates that include photos can replace text-only updates, infographics can replace white papers and sprucing up your company communications with videos and animated slides are all simple, low-budget visual options. Replace your plain old PowerPoints with animated slides can increase attention, retainment and engagement with both your customers and your employees. Company-wide meetings will never be the same again. Effective visuals are extremely powerful when used correctly to communicate an appropriate message. Although visuals are a great communication medium because they lend themselves to creative freedom, remember to always stay on board with your company message and create and spread content that reflects your brand. An offbeat video or inappropriate photo posted with a company status update can do more harm than no visual content at all. That being said, don’t be afraid to have fun. The most high-impact visuals are those that personalizes your content. We all know a good meme says much more than words alone could.